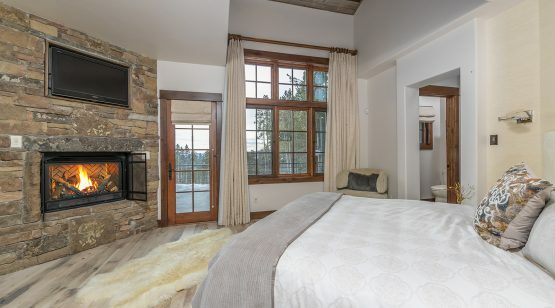 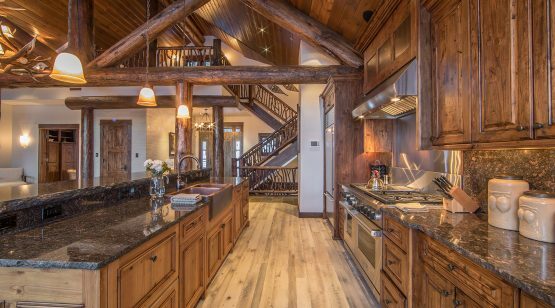 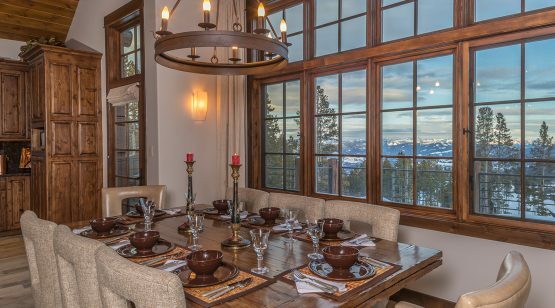 With an open floor plan, stone fireplaces, and oak hardwood flooring throughout, Andesite Ridge 115 is a spacious and welcoming retreat for family and friends to gather. 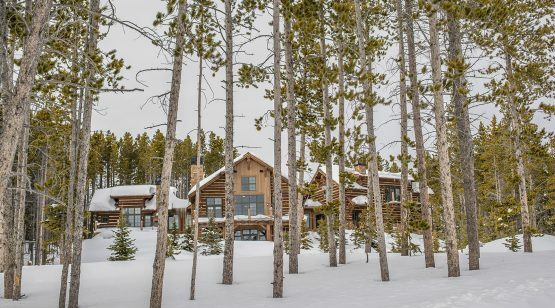 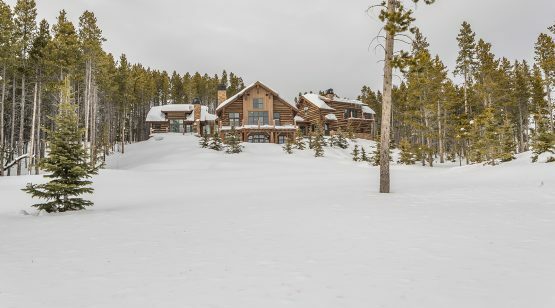 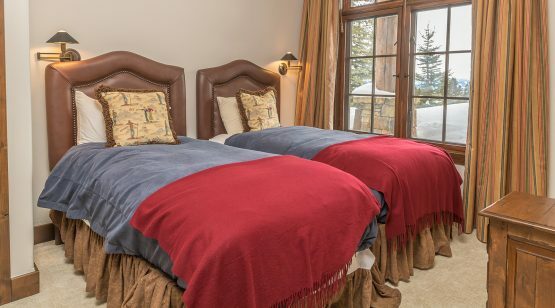 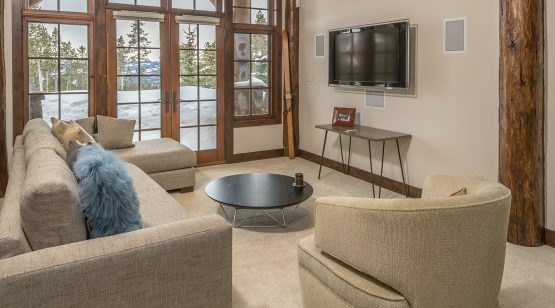 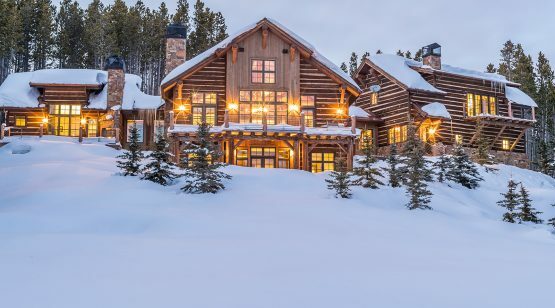 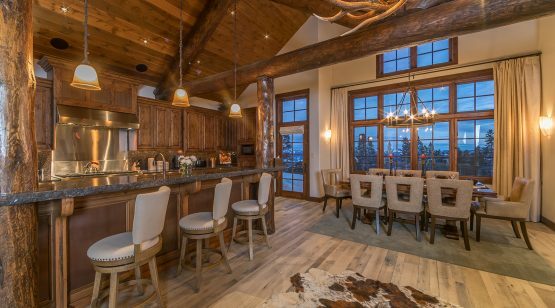 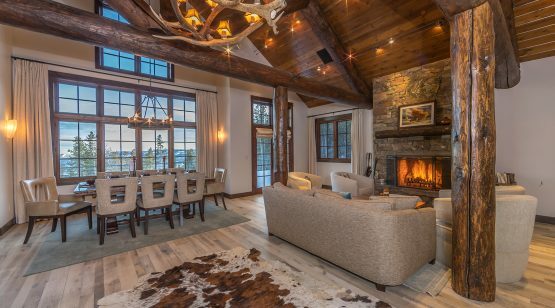 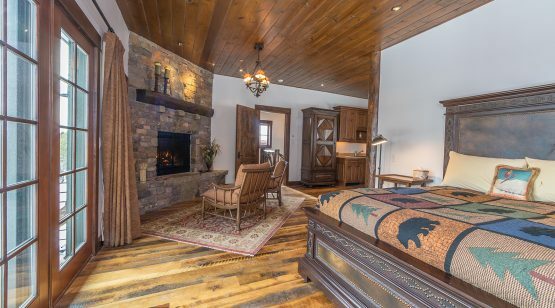 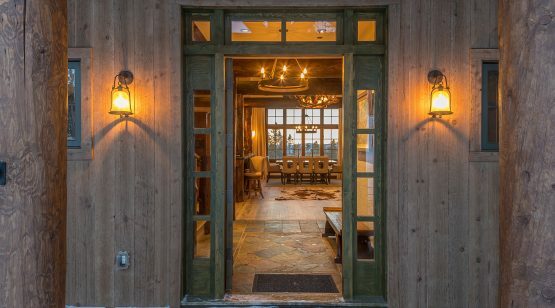 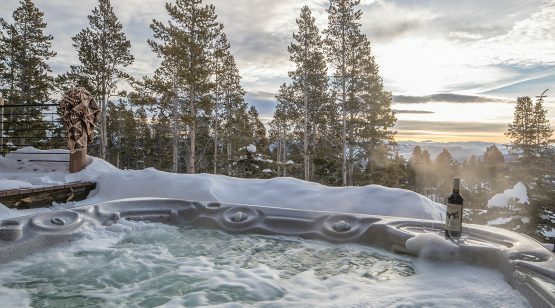 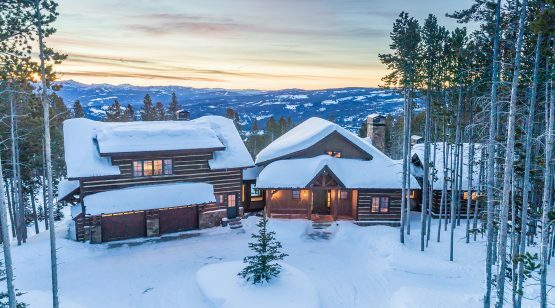 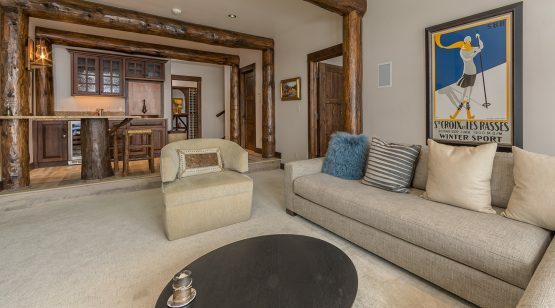 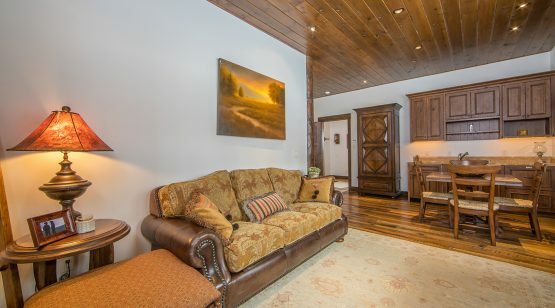 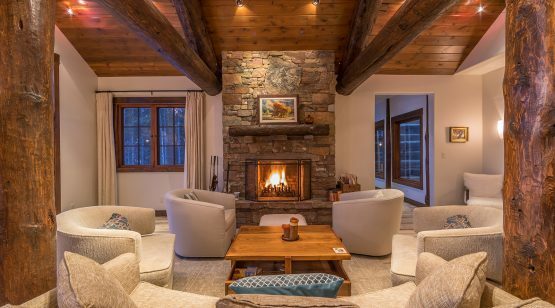 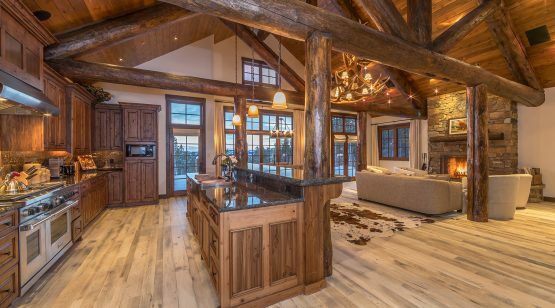 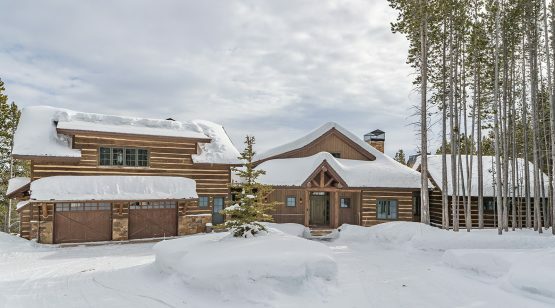 Located on the main level is a sizeable great room with stone fireplace, southwest views of the Yellowstone Club’s Tom Weiskopf signature golf course and a deck to enjoy breathtaking sunsets and scenery after a day of hiking or skiing the Club’s famous Private Powder™. 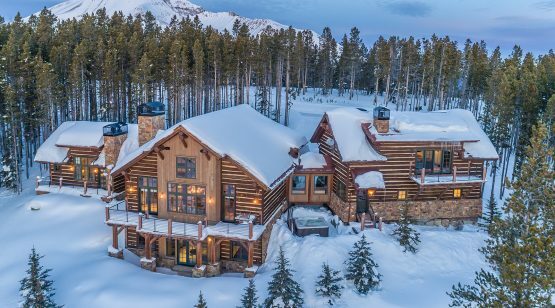 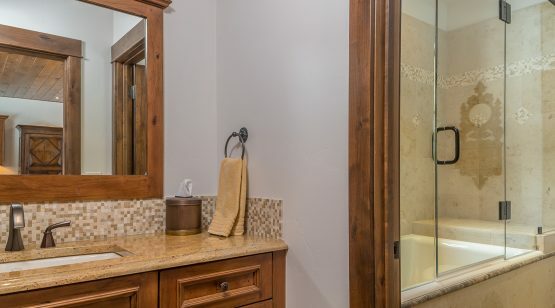 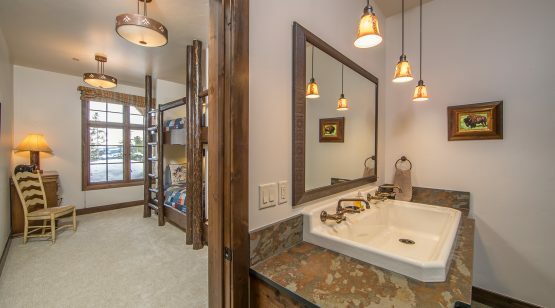 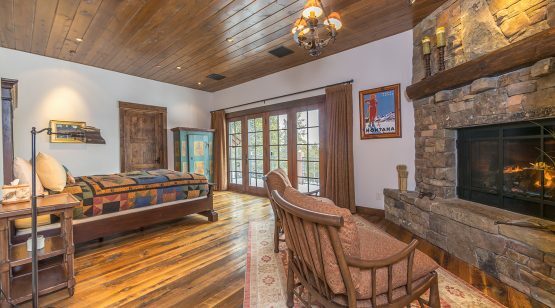 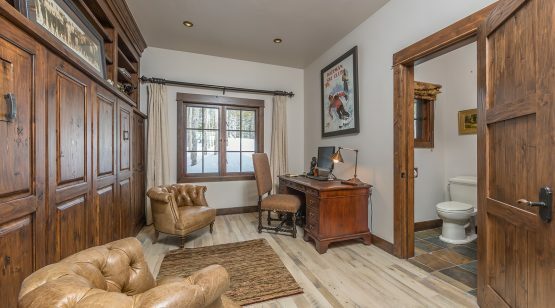 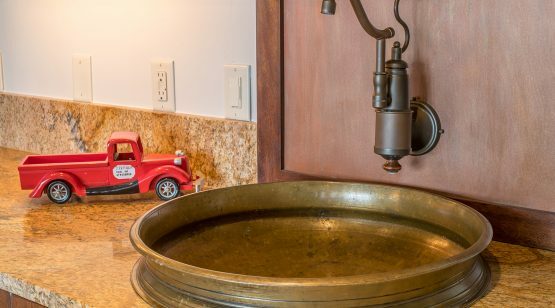 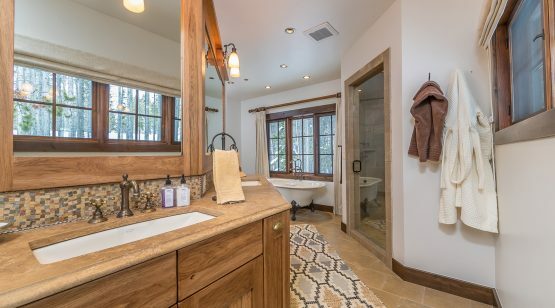 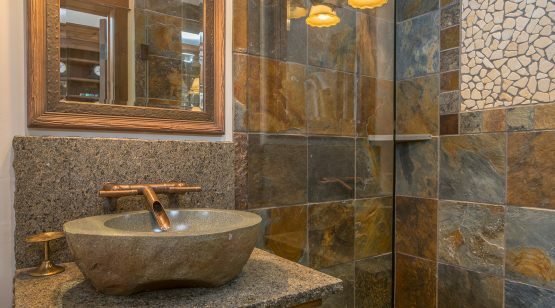 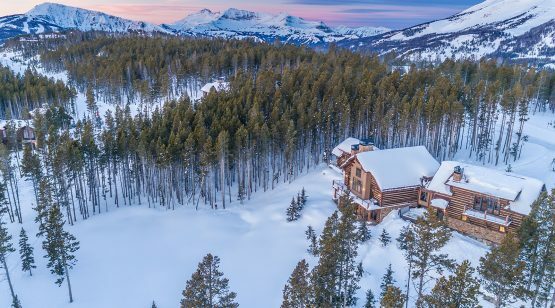 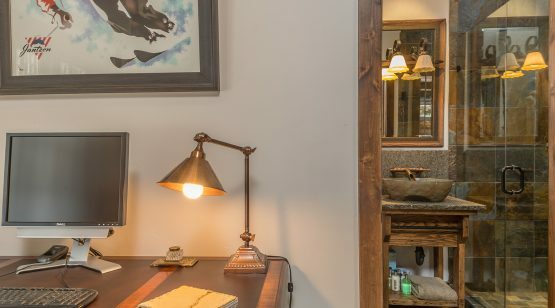 This 5,078 square foot home also boasts a master suite with its own stone fireplace, stand-alone cast iron bathtub, separate steam shower, and deck with outdoor fireplace. 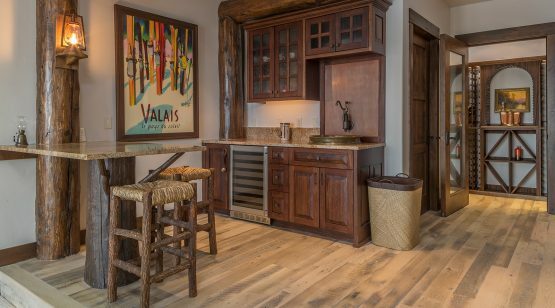 A second master suite is located on the upper level and has its own pop-up TV screen, sitting area, full bath, deck and kitchenette. 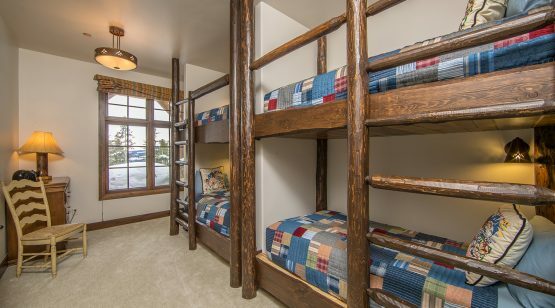 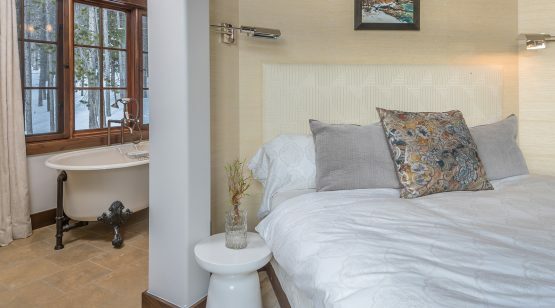 A loft with a sleeper sofa, lower level family room, and two lower level bedrooms – one being a bunkroom – will ensure ample space for children and guests. 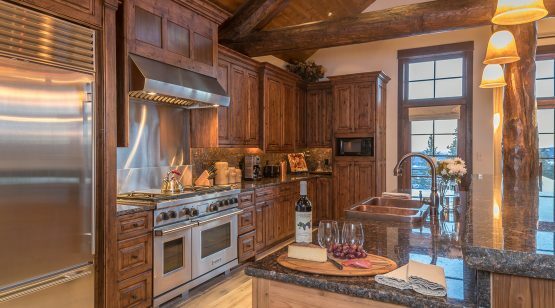 For those that like to cook and entertain, the kitchen features beautiful granite countertops, a prep island, and Sub-Zero stainless steel appliances. 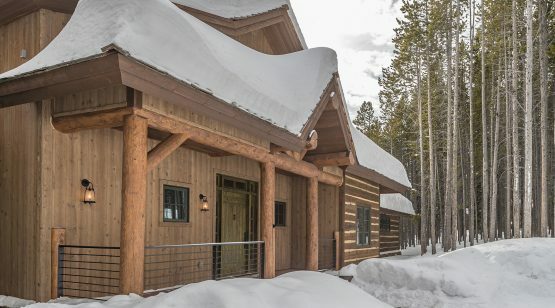 The immediate access to the ski hill will impress the ski enthusiasts of all ages, and the close proximity of the base area will please anyone wanting to enjoy all that YC has to offer.